Kiko has just turned two years old in September and continues to rule the roost at the Nairobi Nursery. He is the most belligerent baby we have ever had, and certainly the tallest! He can also on occasion be quite affectionate, but with a mind of his own; some days he is in a hurry to get out into the Nairobi National Park, and on other days he is desperate to return to the compound and browse on the acacia trees within, staying close to his human family. Whenever there are lions in the vicinity of the stockades, Kiko is confined to the compound for his safety, and often he can sense their presence and chooses to return of his own accord. Mostly he chooses to browse with the elephant orphans during the day, as he enjoys their company, but unfortunately the feeling is not always mutual! Some of the elephants attempt to chase away; baby elephants like Malima and Musiara in particular like to charge with their little ears held wide, but Kiko finds it difficult to take them too seriously due to their tiny size! 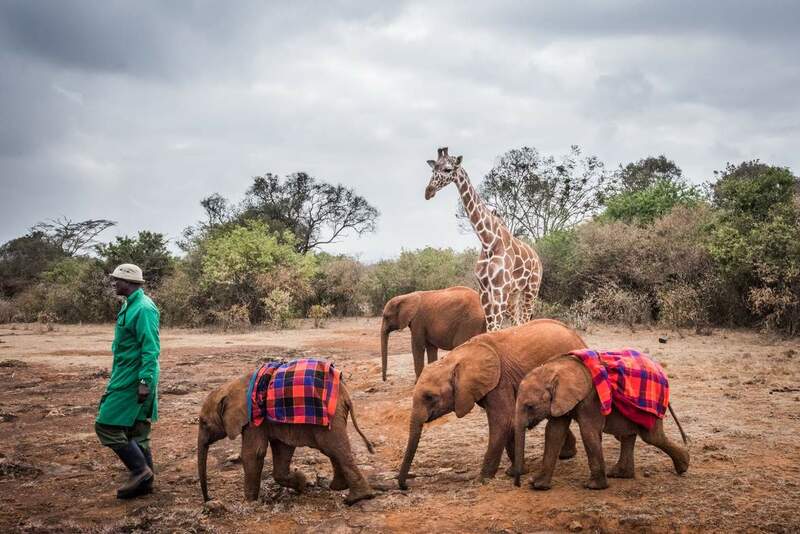 Nevertheless he continues to prefer the company of the elephant babies and feels emboldened by their presence whenever he comes across wild giraffes whilst out browsing in the Nairobi National Park. He will only approach the wild giraffes if the elephant babies walk with him as well! We hope that one day Kiko will embrace his wild counterparts, but in the meantime we will continue to encourage him in these wild interactions whilst giving him all the care he needs. The time is drawing close for us now to seriously consider his translocation to an environment where he can better take the next steps to living a wild life.